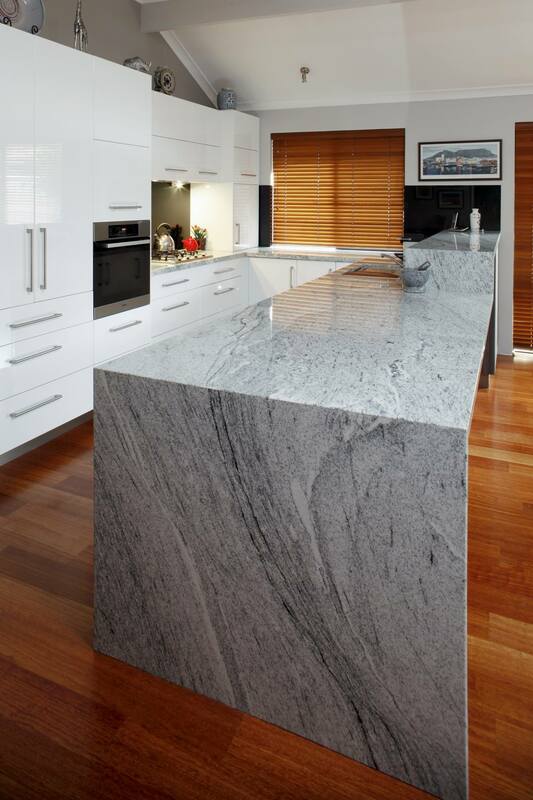 “Verona White” Granite is the feature of this kitchen in Gwelup. Double waterfall ends which cascade to the floor create a striking visual effect as does the contrasting “black sparkle” glass splashback. Doors are “white gloss” vinyl and have brushed nickel handles which co-ordinate with the brushed pewter kickboards and stainless steel appliances.